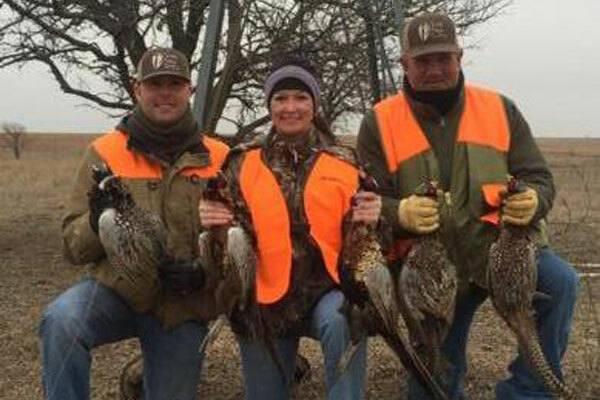 We welcome you to stay with us in this scenic portion of Kansas and enjoy a thrilling yet relaxing hunt. 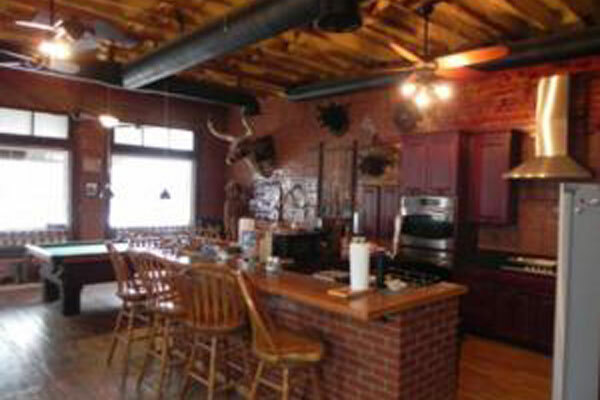 Our hosts, cooks and guides are ready to provide you with a hunt, lodging, and meals that will create lasting memories. 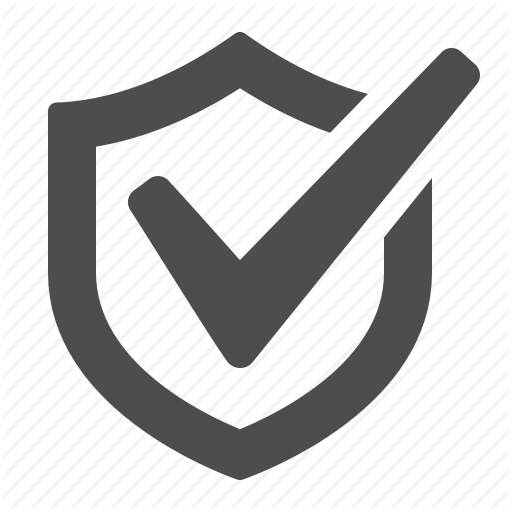 We offer our standard hunting packages but also are willing to customize a hunt to fit your needs. 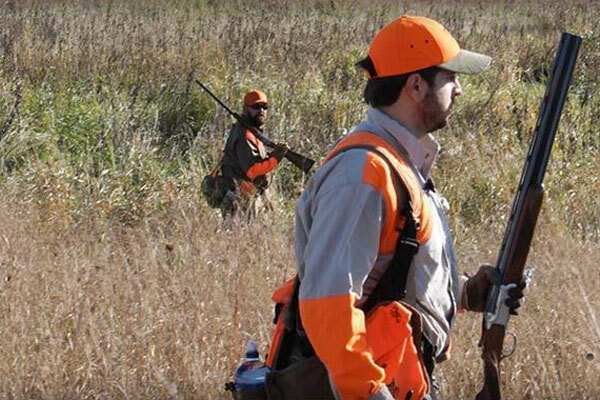 If you are a company looking to entertain your employees or customers, a group of hunting partners, a family group, or even an individual, Upland Bird Guide Service is prepared to provide you with an experience that will not be soon forgotten! 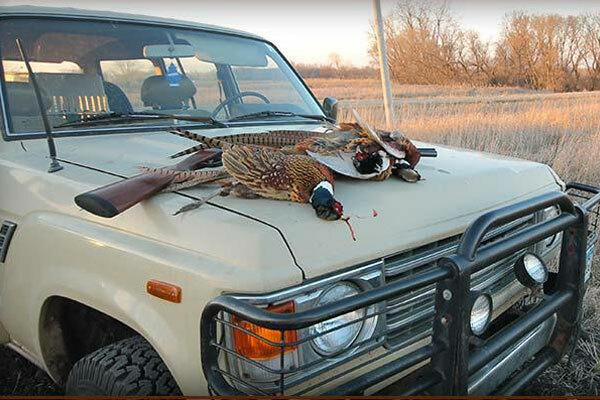 Upland Bird Guide Service invites you to experience some of the best pheasant and quail hunting Kansas has to offer. 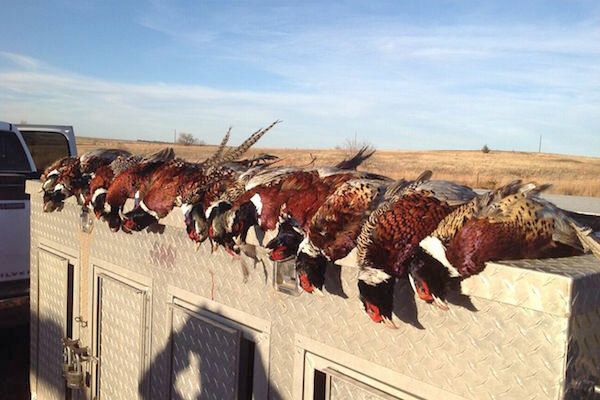 We have over 30,000 acres of property in the south central area of Kansas which allows us to share with you a truly unique hunting experience. 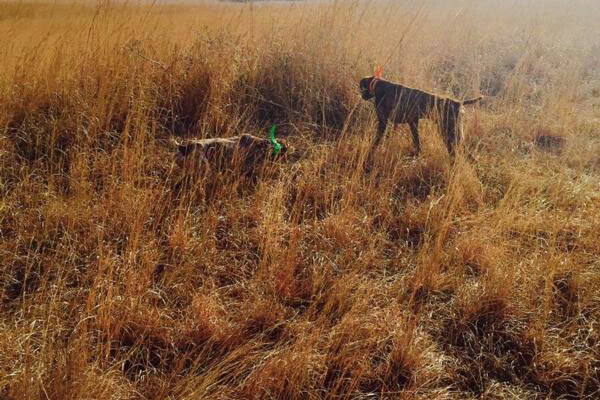 Our properties in Pratt county include native grasses, wheat and milo fields as well as CRP fields, with the occasional plum and cedar thickets to hunt the wily pheasant. We also offer excellent goose and duck hunting. 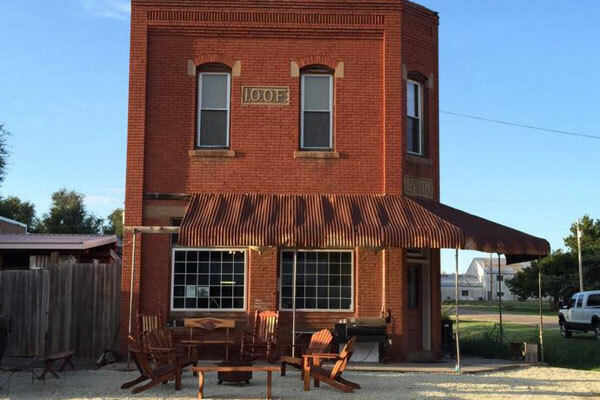 The lodge at Buster's Outfitters, located in Sun City, Kansas, is an old bank building that was built over a hundred years ago and has been converted into a modern hunting lodge with rustic charm. It is complete with big screen satellite tv, pool table, wifi service, and all the conveniences of home. 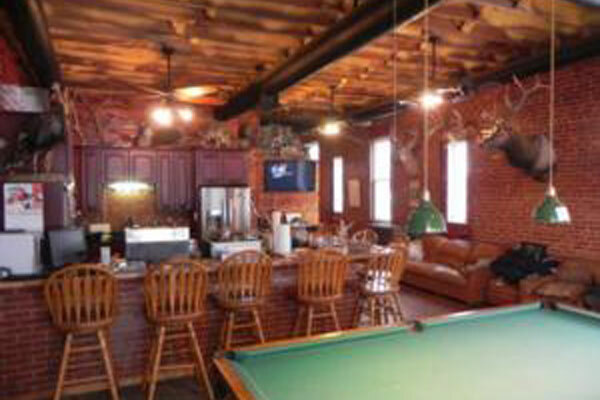 We can accommodate up to ten hunters. 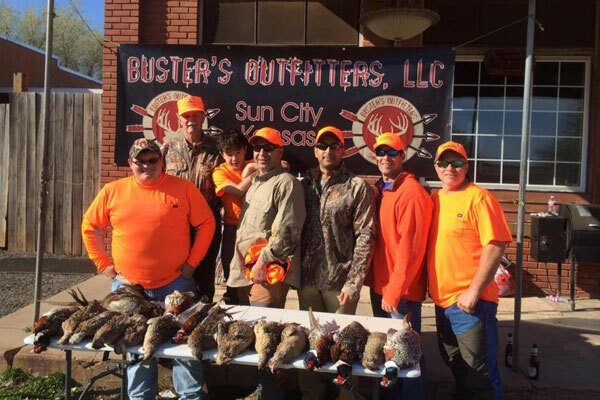 Upland Bird Guide Service has teamed with Buster's Outfitters to offer some of the best pheasant and quail hunting Kansas has to offer. 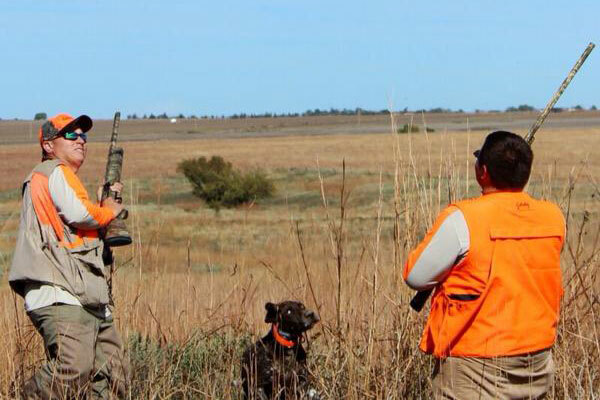 We have over 30,000 acres of land to hunt which allows ample opportunity to pursue pheasant, quail, prairie chicken, geese and ducks. 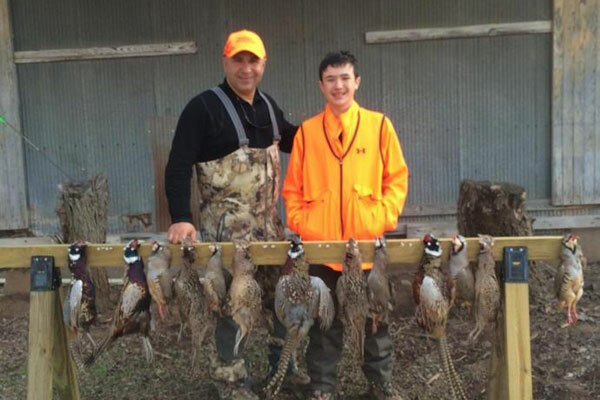 Whether you are an experienced hunter or you are hunting upland birds for the first time, it is our mission to provide you with the hunting experience of a lifetime. 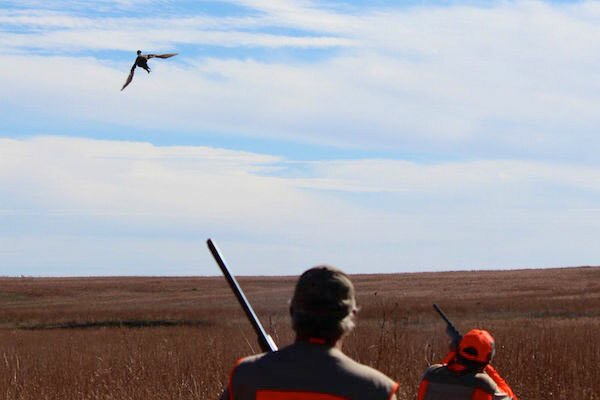 Our guides have a passion for bird hunting that ensures each customer that every effort will be taken to give them the opportunity to fill their limit of birds each and every day.